Premana W. Premadi teaches at Department of Astronomy Institut Teknologi Bandung (ITB). She finished her PhD at The University of Texas Austin US (1996). 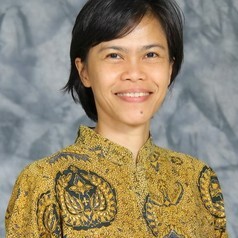 Before that she obtained bachelor’s degree from ITB (1988). Her research is in cosmology, galaxy, astrophysics, and gravitational lens. She also lead The Bosscha Observatory in Bandung.